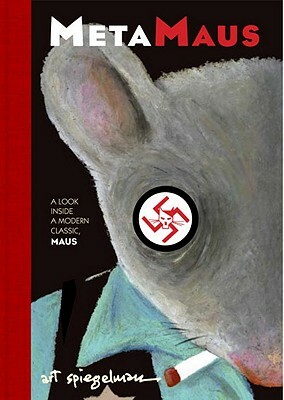 MetaMaus includes a bonus DVD-R that provides a digitized reference copy of The Complete Maus linked to a deep archive of audio interviews with his survivor father, historical documents, and a wealth of Spiegelman’s private notebooks and sketches. Art Spiegelman has been a staff artist and contributing editor at The New Yorker, as well as the cofounder/coeditor of RAW, the acclaimed magazine of avant-garde comics and graphics. In addition to Maus—which was awarded the Pulitzer Prize and twice nominated for the National Book Critics Circle Award—he is the author of Breakdowns and In the Shadow of No Towers. He lives in New York City with his wife, Françoise Mouly . . . and a cat.